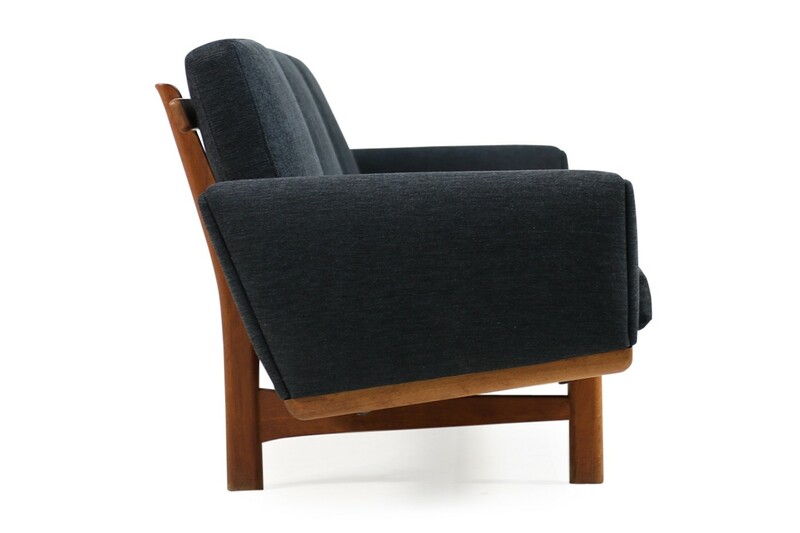 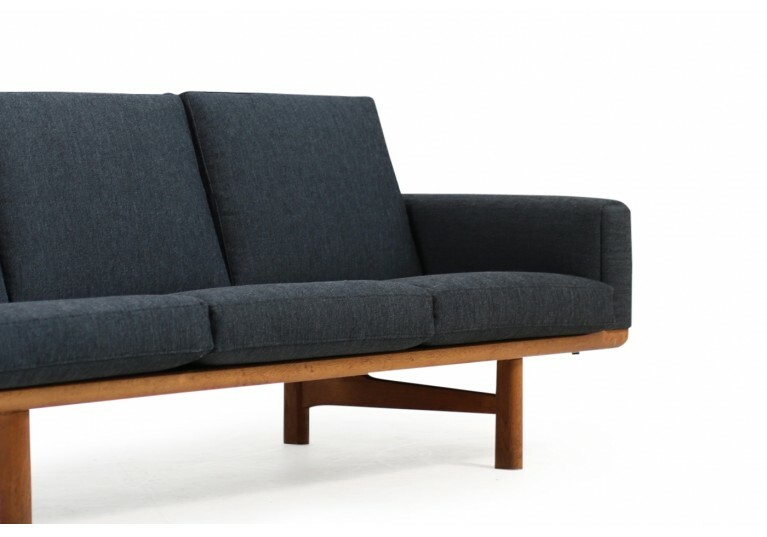 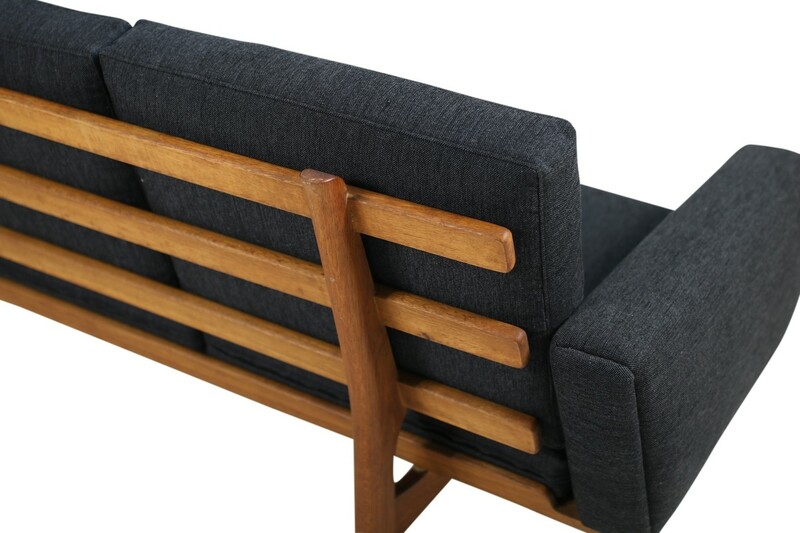 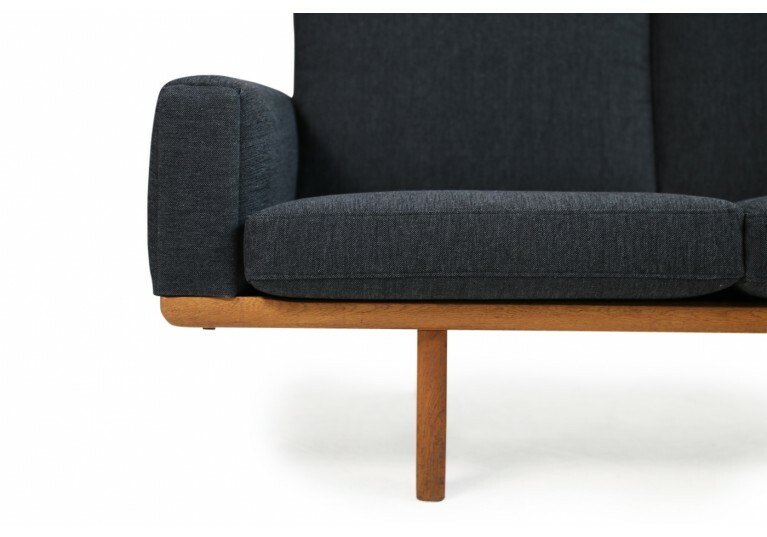 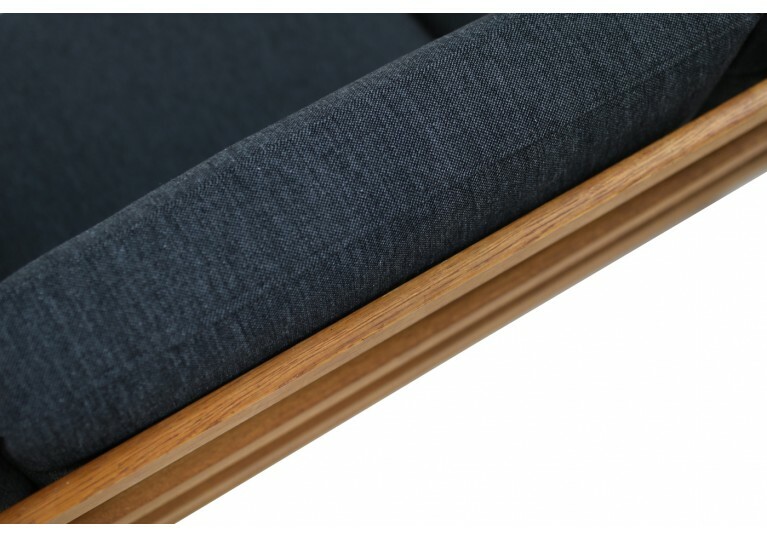 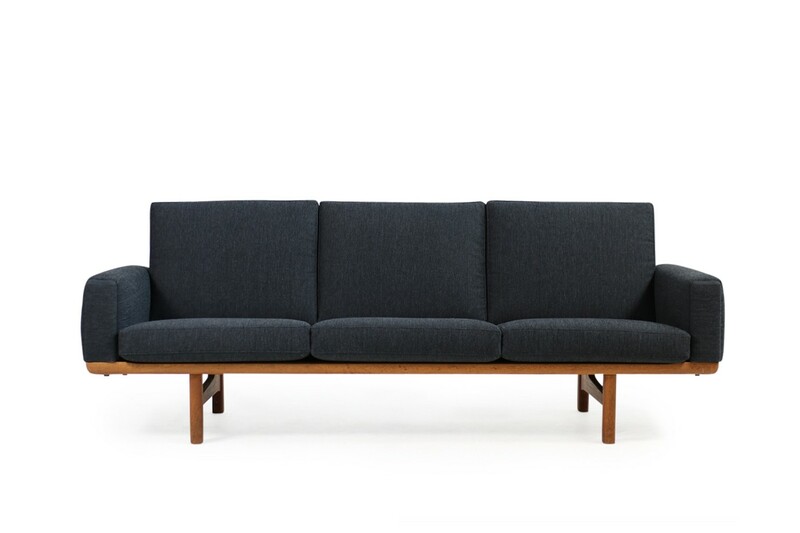 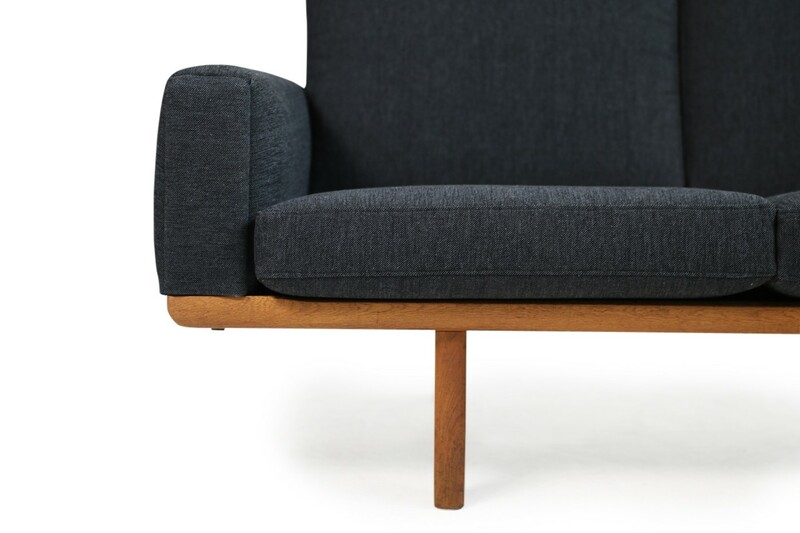 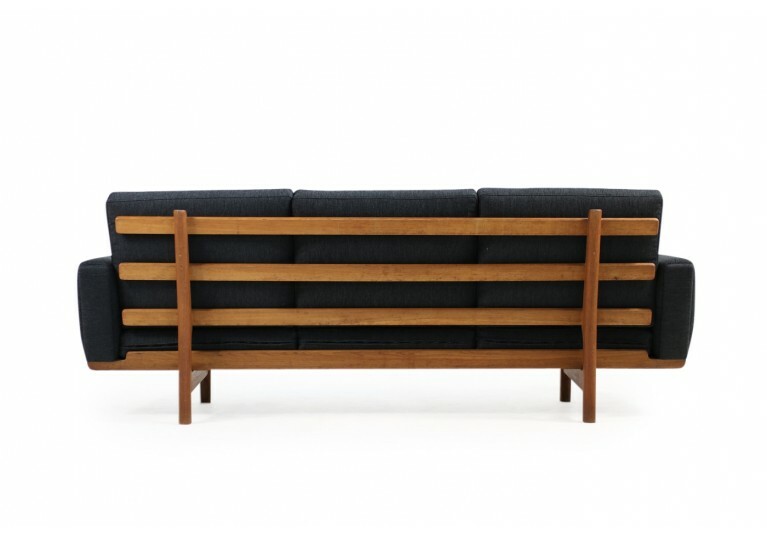 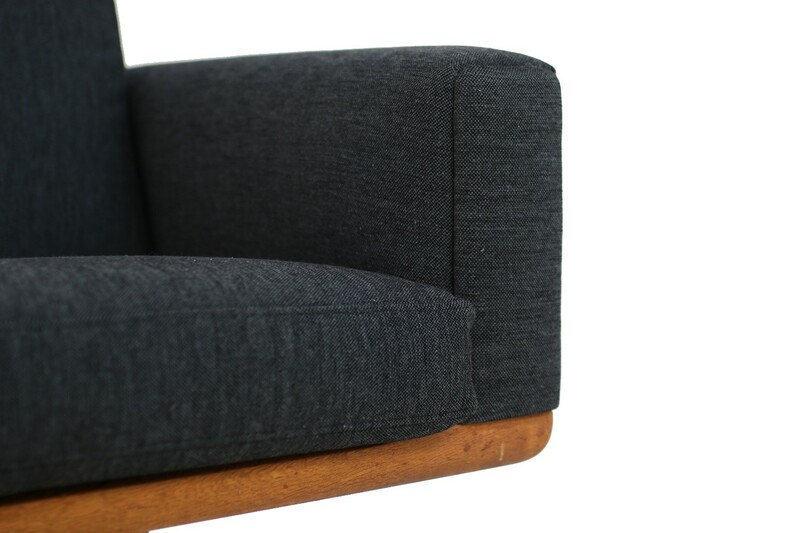 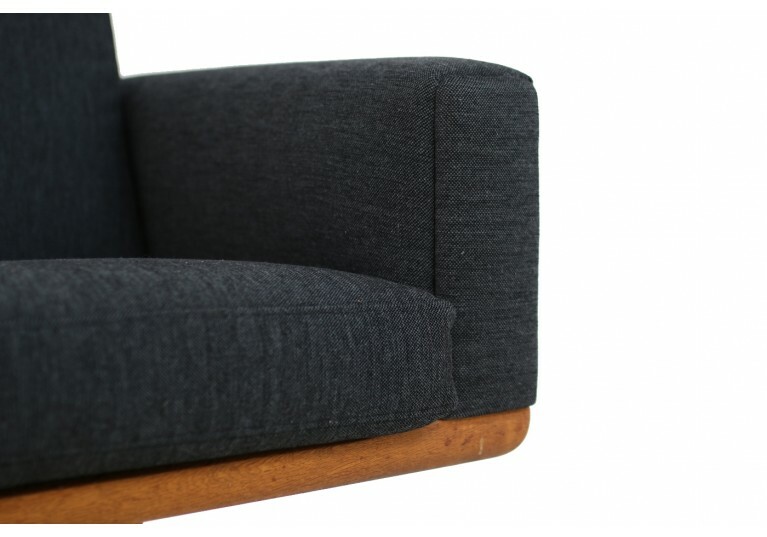 Beautiful Hans Wegner 1950s oak sofa, for GETAMA Denmark, Mod. GE 236-3 in very good condition, renewed upper spring cushions upholstery in very good condition, high quality linen woven fabric. 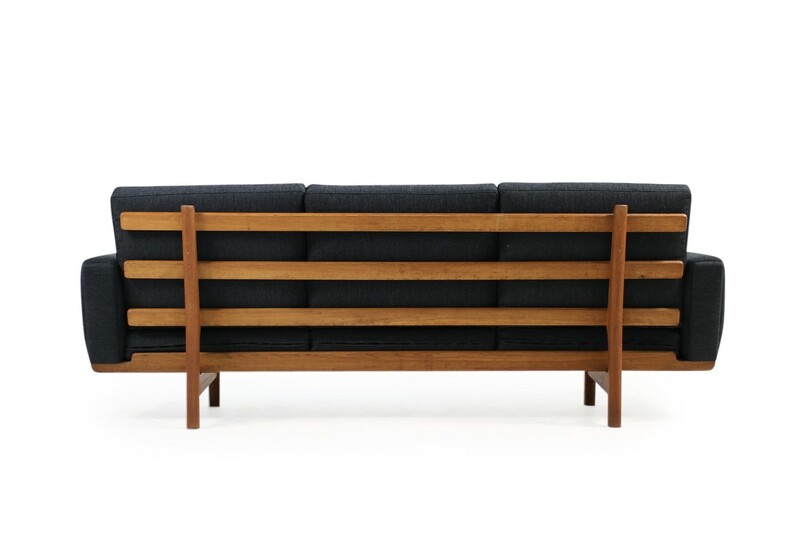 Early edition, beautiful. 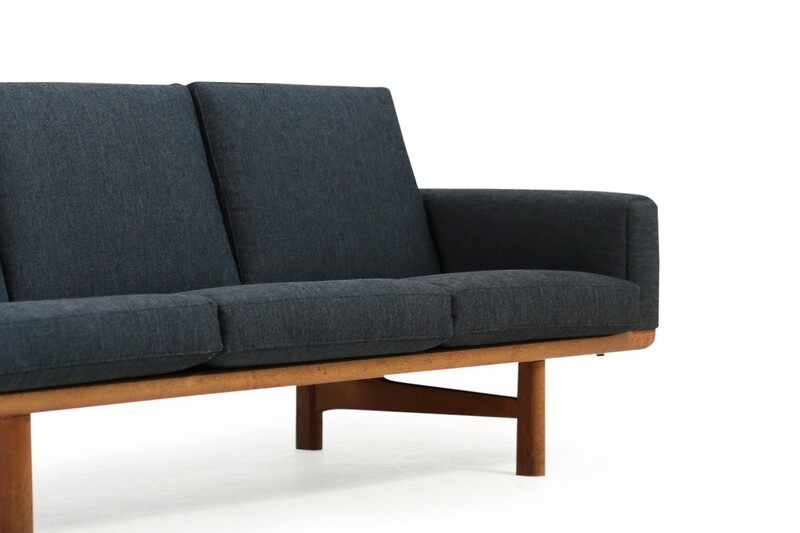 This sofa is sold, we have the same Wegner model available, it has been reupholstered and is waiting for new fabric, you can choose the fabric color. 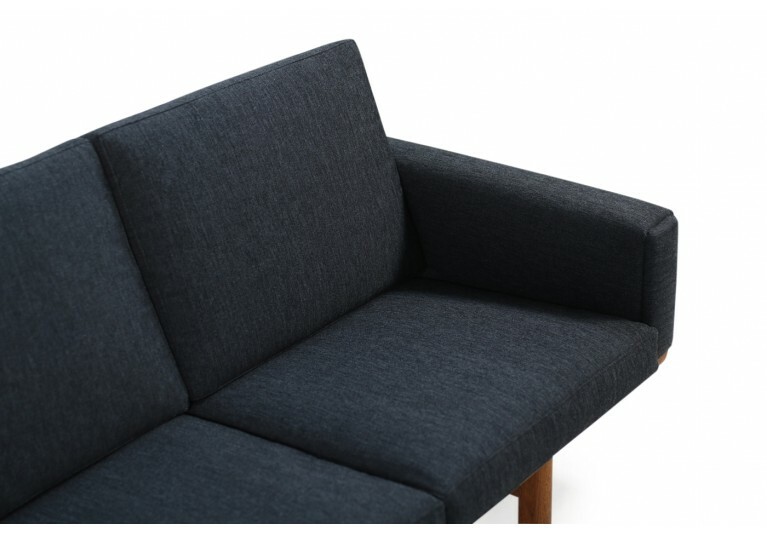 For furhter informations or additional questions please contact us.